Marcus Armstrong has work to do this weekend as the 2018 FIA Formula 3 European Championship arrives at the Nurburgring, nestled in the Eifel forests. The 3.629 km sprint circuit is familiar to the New Zealand driver, who has competed in Formula Renault and ADAC Formula 4. Last year, on his way to second place in the ADAC F4 Championship, Armstrong won the third race at the 'Ring. This weekend, he arrives at the circuit third in the FIA Formula 3 Championship behind Dan Ticktum and Juri Vips. he leads his team-mates Mick Schumacher and Ralf Aron, fifth and sixth on points. He qualified in the top ten but has struck engine issues meaning he gets a ten-place grid penalty. First the New Zealand Ferrari protege missed much of free practice with a mechanical problem, and then it was discovered that he required a change of his Mercedes engine, thereby incurring a 10-place grid penalty for Saturday's race. 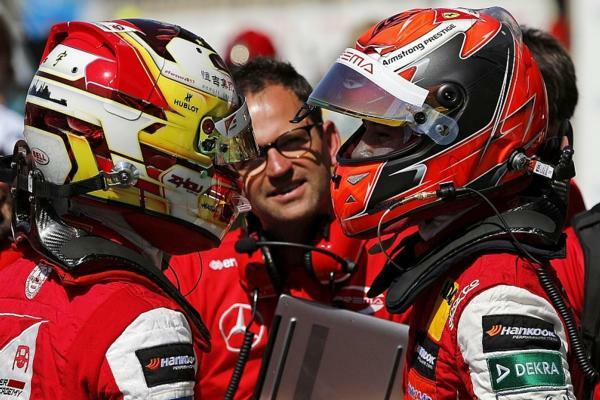 Team head Rene Rosin says as the championship enters its closing phase it's time for all four Prema drivers to step up. "It's time to get back in action in this busy final part of Summer. The previous round in Misano has been pretty challenging in terms of the weather and we scored two wins, so we got some good training for what can be expected at Nürburgring! All joking aside, we are entering the most crucial part of the season and as we are in contention with so many cars, staying focused and avoiding any mistake will be the key, even more than usual. I hope to see our drivers make a step up as a team. In 2017, we struggled a bit at Nürburgring so we are eager to put our name back at the front end of the charts."